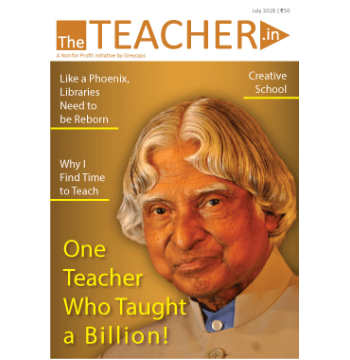 TheTeacher.in is a thought seed of our beloved former President, Late Dr. APJ Abdul Kalam. It was on his advise, that Greycaps launched this portal on 'Teachers Day' in 2013. 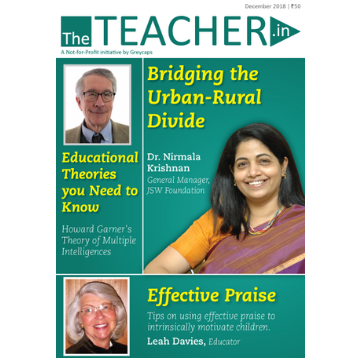 TheTeacher.in​ is a not-for-profit initiative from Greycaps, that strives to bring educators together to share thoughts, knowledge and to celebrate the teacher. 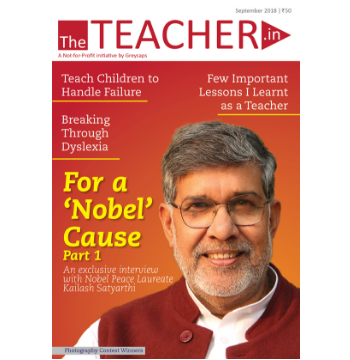 It is India's first comprehensive online portal for teachers. The portal dedicates itself to serve as a medium for teachers to share their knowledge, experiences and best practices. The cornerstone of ‘TheTeacher.in’ would be to build an active forum for learning and sharing, which will create a vast knowledge pool to aid teachers to leave a greater impact on the children they teach. 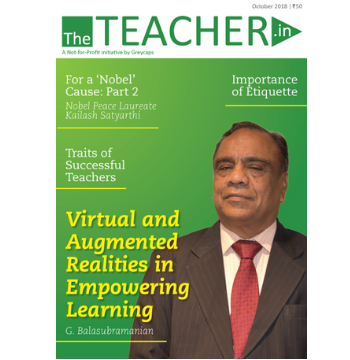 In 2018, with the growing popularity of the portal and the community of educators, TheTeacher.in is getting published as a magazine, aspiring to be a part of every staff room.